Jump On This Now. 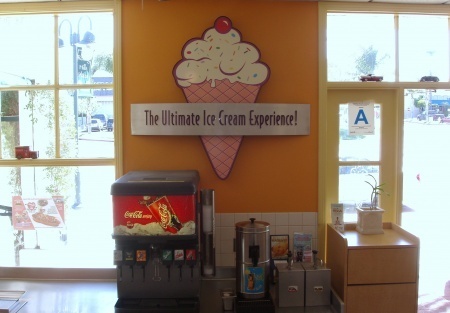 ONLY $68,000 for FULLY Equipped and Operational Franchised Restaurant in this Super Location. Seller very motivated. Any offer will be presented to Seller.......Selling Restaurants presents this "Well Known" Hot Dog Franchise for sale in one of the busiest areas with a High Volume of Traffic in the L.A.-South Bay. The location is FANTASTIC...The restaurant has superb visibility within the plaza and a high volume of walking traffic. In addition to the well known hotdog brand, the menu features many flavors of ice cream, shakes, additional beverages and many side dishes. If you love the restaurant space and do not want to continue with the current menu or franchise, then bring your own concept and take advantage of the high traffic location. You will be assisted in submitting your concept to the landlord for approval. This restaurant space is great for many different restaurant concepts. It features a complete kitchen with a hood system, grill/flat griddle, deep fryer, grease trap, refrigeration/freezer units and display cases, and a storage unit in the back. The restaurant also features 2 comfortable covered outdoor patios which seat 48 customers. Try to negotiate a new lease agreement and rent terms. The location is well worth the investment and lease. Take the next step and complete the online confidentiality agreement and you�ll be provided with the restaurant name, address, and pictures to view. Also you will given priority notification to new listings in the future, prior to the general public, giving you the best chance to �scoop in� the best opportunities. There are also more photos available to our registered buyers.This is a Paramount Restaurant Brokers, Inc. DBA SellingRestaurants.com listing.